Moodle is one of the best LMS software to create private / secure education website for schools, universities, online training, etc, it’s free and easy to use. 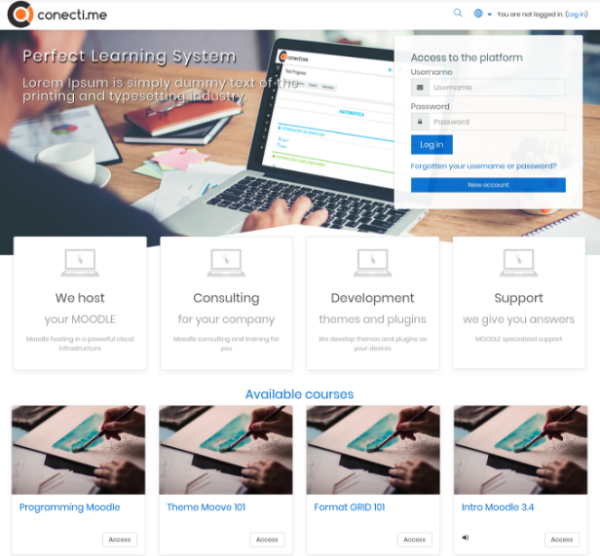 The best features of moodle is the collaborative tools which allow student to connect and learn together using forum, private chat, feedback, forum, lesson, quiz and much more. There are a lot of Moodle themes both for free and paid theme you can use to build a beautiful online education website. 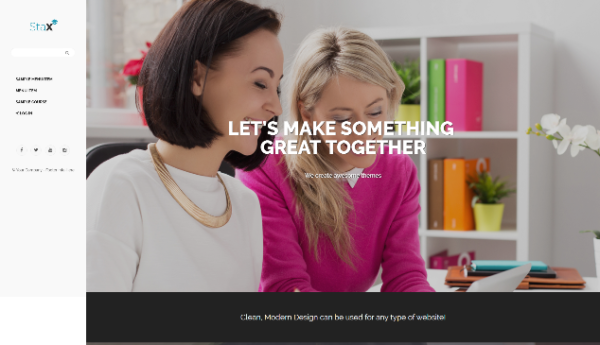 This theme will save your time and energy in website development process. 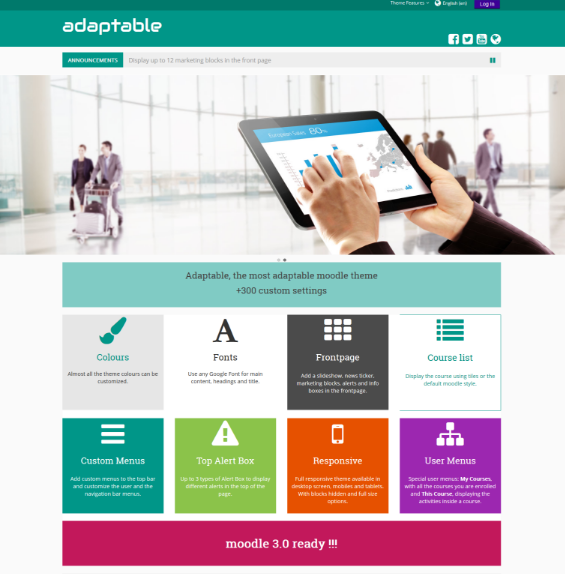 In this post, we are going to show the best Moodle themes for your project. 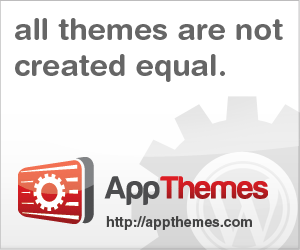 Most of these themes are build in responsive layout, extensive theme panel and easy to customize. 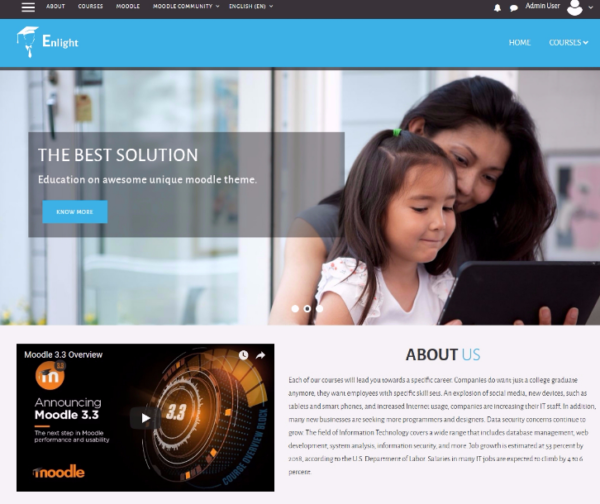 Enlight is responsive Moodle theme which make your site have amazing look on different screen resolutions such as: Desktop, tablets and mobile phones. 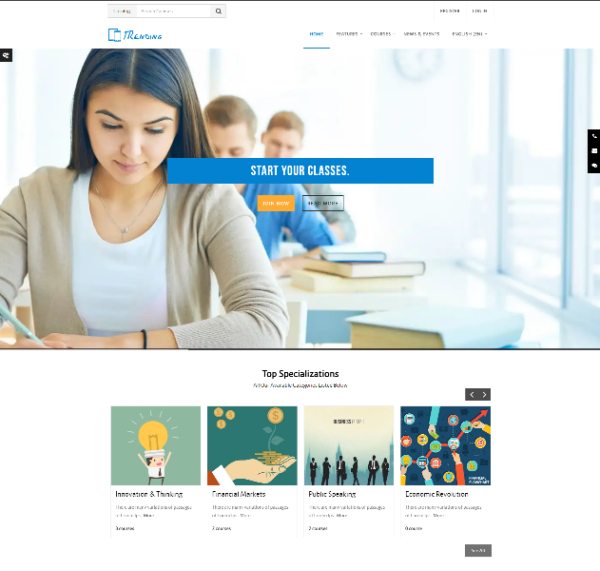 School is the best Moodle education theme for your website which is the perfect solution for those who love to represent their organization such as school, college, training courses, university etc. 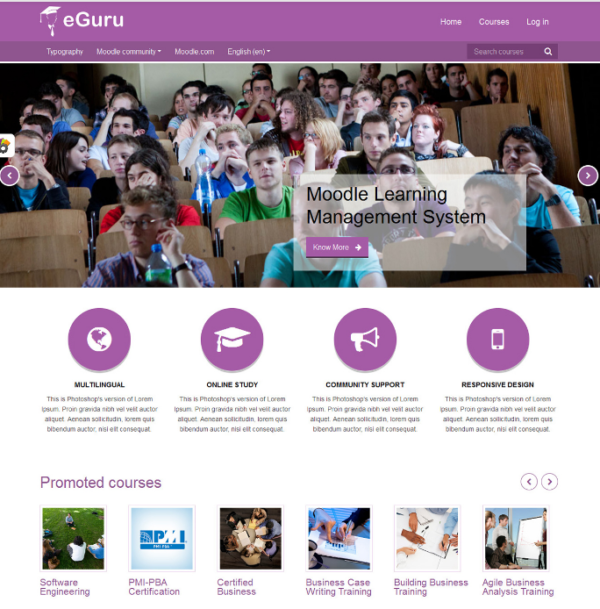 e-Guru is responsive moodle theme suitable choice for your educational establishments and coming out with powerful admin theme setting options. It will work on all devices, and browsers. New Learning is responsive with clean and modern Bootstrap theme design for Moodle which can be used in many type of website. Lambda let you create a modern and eye-catching website for your learning environment. It offers various options and comes bundled with lots of easy to use features including tabs, slideshows and accordions. 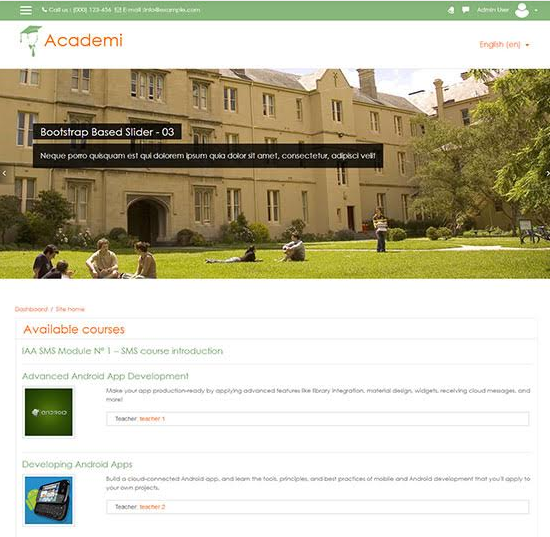 Academi is a free moodle theme which has a fully responsive layout design for mobile or tablet for a seamless experience. Stax is unique and exclusive theme for Moodle that can be configured with numerous color and marketing options. Edutech is the best education template for your website which is the perfect solution for those who love to represent their organization such as school, college, training courses, corporate trainings, university etc. 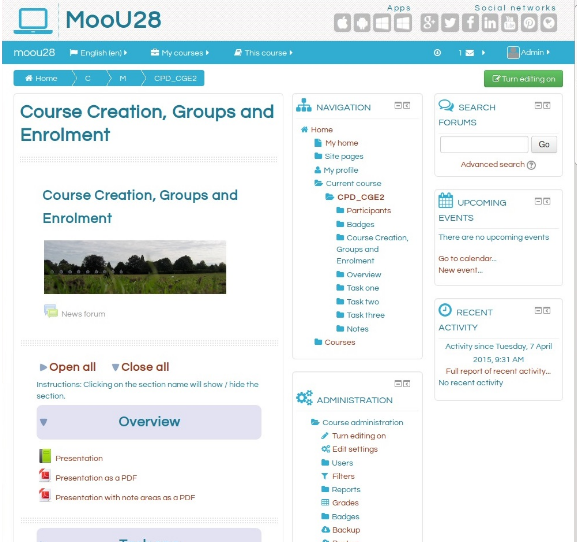 Moove is a simple and minimalist theme for Moodle, this theme is perfect to create online environments more clean and intuitive for learners and educators. Trending is the best Moodle education theme for your website. 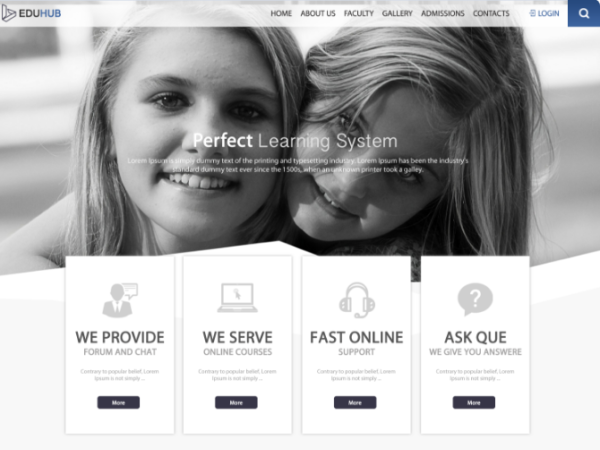 It is stunningly flexible, perfect and extensive education theme which for LMS / education website. 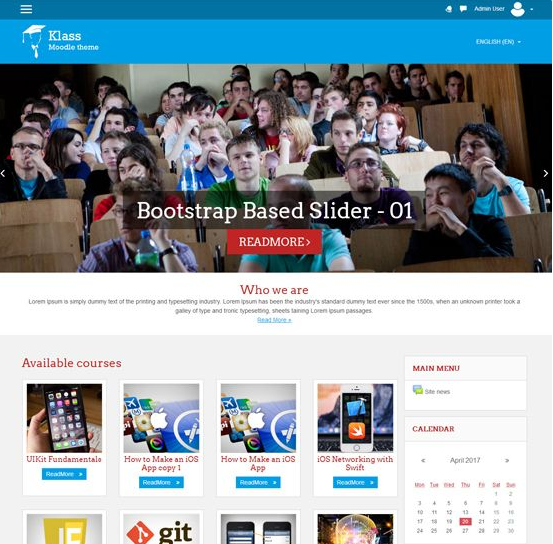 Klass iss free online e-learning websites template with modern layout. It’s designed for your school, college, university and other online educational websites. Squared is free simple moodle theme with square style layout design. The frontpage slideshow is completely customizable concerning text and images. 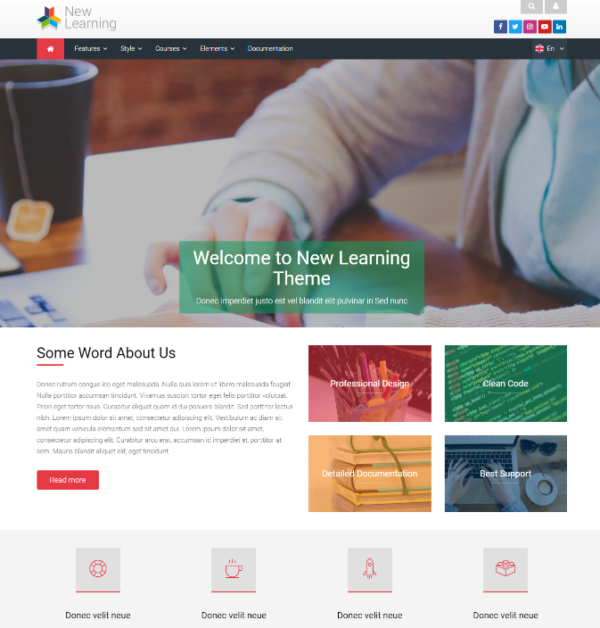 LearningZone is build with responsive bootstrap framework for Moodle. 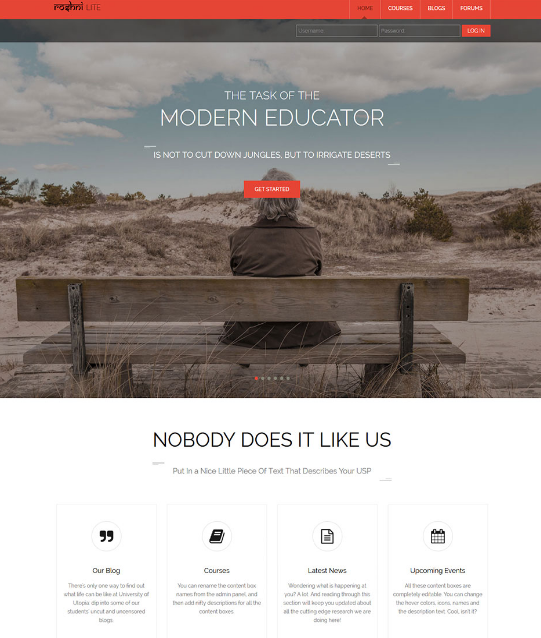 This education Moodle theme has everything you need to create an excellent education websites. Essential is a clean and customizable theme. 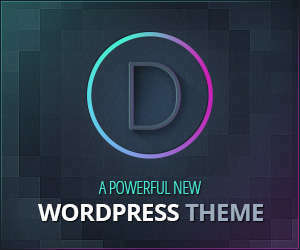 It’s one of the most popular theme and tested by thousands of users. 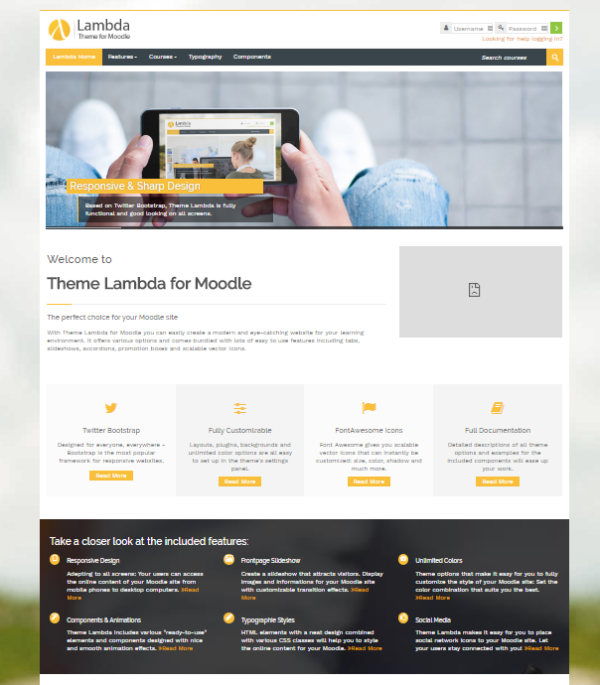 Flora Moodle Theme is based on bootstrap framework and its fully responsive layout design. Include course section, slider section, footer section and many more things. 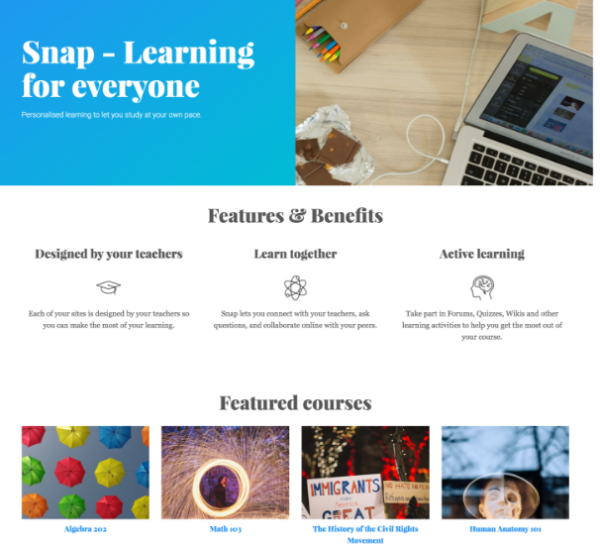 Snap is responsive theme for Moodle that allow you to create the modern, engaging experience user’s. 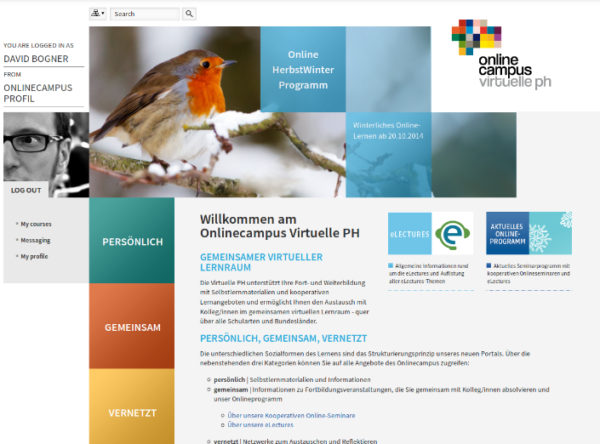 The layout is optimised for online learning, focusing on the things that matter. 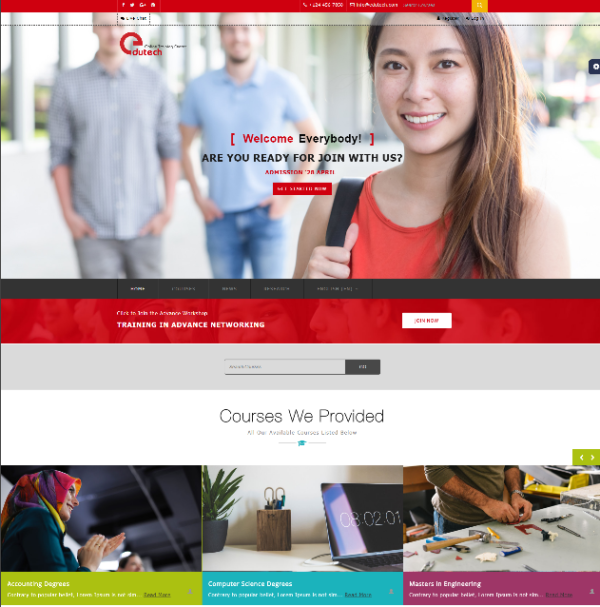 Roshni is responsive and beautiful Moodle theme provides customizable sections in the front page which the user can customize through a backend setting panel. Eduhub theme is a fantastic theme for educational website which clean layout and awesome features which can be control by setting page.